I'm testing and added a seller. The seller has a product and I entered the weight for the product. 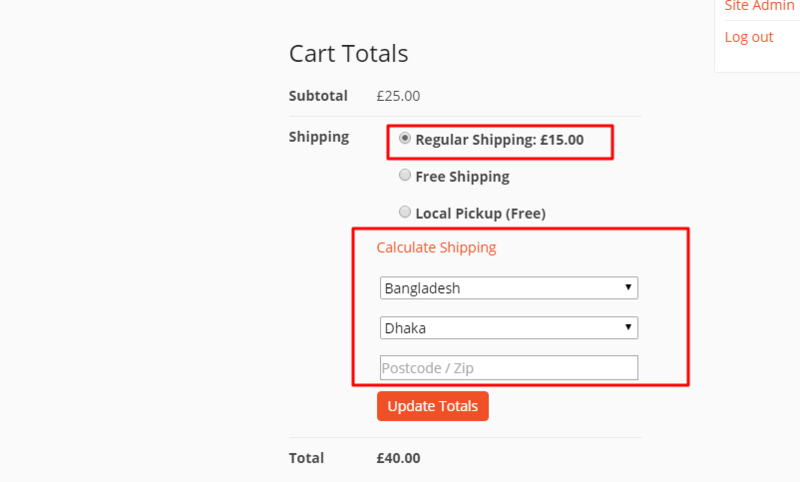 As a buyer, I add the product to my cart, I go to the cart and there is a shipping calculator that should calculate shipping costs before the buyer checks out. The buyer needs to enter postal code and update cart to display and add shipping cost to cart. There isn't a place to enter postal code to determine shipping costs. How do I do this? I can see that in the shipping calculator on the cart page zip/postal field is available. Please check the screenshot- http://i.imgur.com/x2ee4Rf.png. I found that page. I need to add shipping options UPS and USPS so sellers can select which option they want to offer to their customers. How do I add those options? I found Woocommerce plugins for UPS and UPS. Will these plugins work with Dokan? In Dokan seller can set their own rate from their dashboard. Now, if you want to use any third party shipping plugin with Dokan then you have to customize the plugin to make it compatible. The topic ‘Shipping Calculations’ is closed to new replies.